Even the simplest of old objects can easily be given new life. For example, you can turn colander into a flower bed, or make a custom vase out of the old bottles. Just like colanders can be painted in bright, cheerful colours and filled with soil, old bottles can be wrapped in colourful paper. 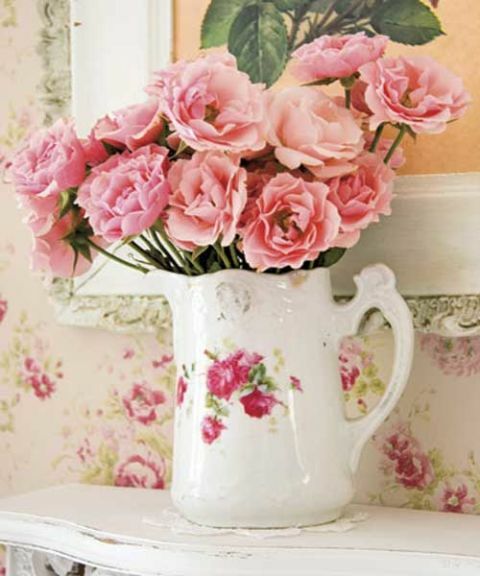 On the whole, decorating your home with flowers is an excellent idea. Some of the new spring-themed vases can be installed in the hallway to welcome you and your guests, putting everyone into cheerful spring spirits. Buy a ready-made or make your own bird feeder to welcome the first messengers of spring. By simply connecting two of your old plates with a rod, you get a chance to make a bird feeder that will not cost you a single dime. Flower themes in the living room are exactly what you need in spring. Give your old decorative cushions new life. Reupholster them in pastel, flower-themed fabric and mix match them on your living room sofa. You can as well use the same principle while working with your lamp shades. The idea is cool for floor lamps. 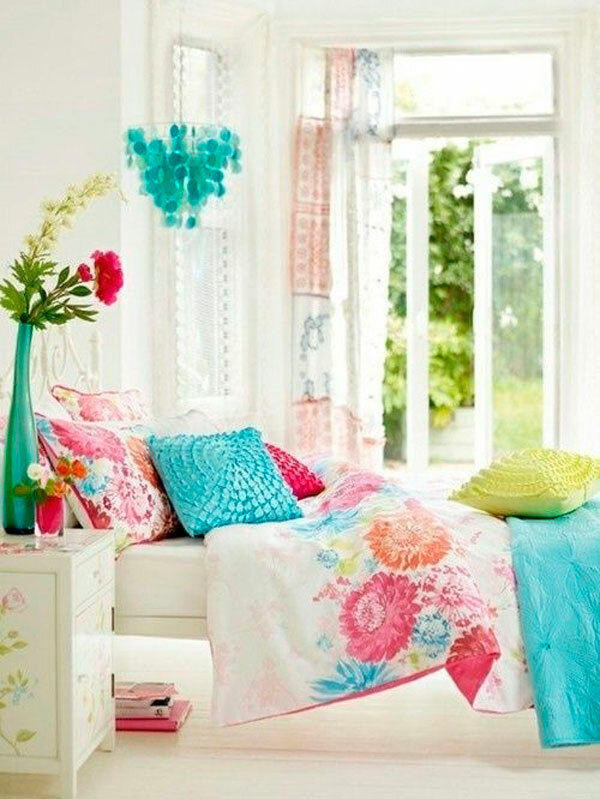 Wrapping your old shades in new flowery textiles is a perfect idea to give any room a brighter, more cheerful look. Decorating your dining table to set your entire family in the right mood is another way to make your home ready for spring. There are plenty of ready-made patterns on how to make spring DIY home decor from napkins and giving your dining area a sophisticated look and feel. Laundry baskets, as well as minor baskets you have for keeping miscellaneous objects, can also be given a cheerful spring look. Just get some flowery or colourful lining for each piece, carefully adjusting the ends at the basket rim. Another thing you should not forget about is that golden accessories have been in trend for over a year now. If some of your door or furniture handles need repainting, consider going with warm, golden shades. Cheerful murals (trees, flowers, even insects) are perfect for a kid’s room. 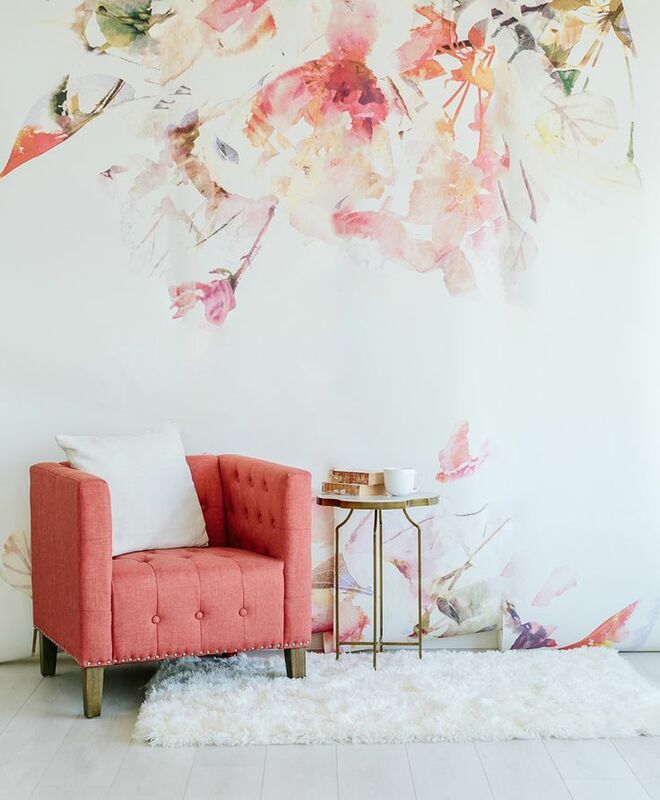 So, if you are about to do a repainting job, why not express your creativity with spring-themed wall murals? Follow FurnitureinFashion’s board How To Make Spring DIY Decor: 10 Simple Ideas To Get Started on Pinterest. Finally, get ready for long and relaxing evening outside and invest into new outdoor lighting. Make sure not only your house but also your backyards is fully equipped for spring and summertime.